TCI is pleased to announce the release of our newest power quality offering, the MotorShield™ Sinewave Output Filter. The MotorShield is a sinewave output filter that is the best in its class to protect and extend the life of the motor and cable runs by reducing motor issues. 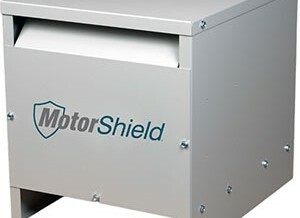 The MotorShield’s design translates to higher operating efficiency and reduced heat generation, extending motor life. This new filter is available in a Type 1/3R enclosure to meet a wide range of installation requirements. For more details on the MotorShield sinewave output filter, please visit the MotorShield product page.